This book is a user's manual for anyone with a voice! Have you ever wanted to join a choir but were afraid you couldn't carry a tune? Do you ever have to present at work but feel you can't convey your messages effectively because of your voice? Do you struggle to sound confident at meetings or on the phone? Do you just dislike the sound of your own voice? You are not alone! Your voice tells the world who you are. Not only is it a vital part of your personality but it has more to do with your mental and physical health than you realise. 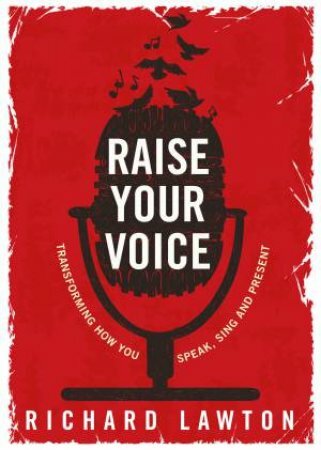 Raise Your Voice is written by one of Australia's most experienced voice coaches and is full of practical tools and real life 'war' stories for: · People who are waking up to the power of voice to enhance the mindbody-spirit connection (including the treatment of mental health and eating disorders) · Amateur singers who know that they could do more with their voice. · Older people (baby boomers) realising the health and memory benefits of singing. · People who work on their voice for a specific reason but then discover it gives them courage to face their fears in other aspects of their lives. What's unique about this book is the breadth and depth of the author's experience of more than thirty years as an educator, corporate trainer, theatre director and community choir leader. Most books on voice focus on a) singers or b) presenters. This book is a user's manual for anyone with a voice. The personal stories interwoven make the 'how to' sections come alive, and could provoke anyone who picks up the book to explore their relationship with their voice.